The central weakness of the farm factory apologists is their specious claim that we are entitled to brutalize animals since brutality is the norm in nature. Comparing farm factory slaughter with animal-on-animal slaughter is anegregious comparison wrought with many fallacies. First, animals kill for hunger while farm factories kill for profit. Second, the scale of brutality in the farm factory far surpasses that which occurs in nature. Third, the amount of waste farm factories impose on the environment cannot be compared to the almost nonexistent waste that occurs in the animal world. Fourth, farm factory butcheries spread disease like E.coli on a mass scale whereas in Nature such spread of contagion does not occur. Revealing this faulty comparison for the outlandish fraud that it is, what are meat eaters like me to do? Surely, the answer lies in trying to eat meat that comes from non-farm factory sources, such as meat labeled "organic" and "sustainable." 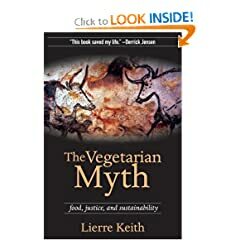 Summarize the book’s major arguments that support a vegetarian or vegan diet for animal rights. Since I rotate the books, your book might be Animal Liberation by Peter Singer, The Face On Your Plate by Jeffrey Moussaieff Masson, Eating Animals by Jonathan Safran Foer or Dominion by Matthew Scully. Animal Suffering website provides a good example of showing your opponents' arguments and then rebutting or refuting those arguments. For your essay to be successful, you will have to use a refutation argumentative style. In doing so, I suggest you begin my summarizing, in about one page, Singer’s major arguments, especially the morally abhorrent condition of “speciesism,” as the basis of ethical treatment toward animals. Be sure to include what you think are the strengths, weaknesses, and fallacies, if any, in his claims and arguments. Then begin your thesis paragraph that will either defend or refute Singer using a REFUTATION ARGUMENT MODEL. You will find 5 arguments that your opponents rely on to contradict your position and you show how your opponents’ arguments, point by point, can be refuted. What if during your thinking about the topic and your research you find yourself agreeing with your opponents? THEN CHANGE YOUR POSITION. In your thesis paragraph write your opponents’ major claims against your position and write how you will refute those claims. Your body paragraphs will correspond to your point by point refutations of your opponents. Your conclusion will be a restatement of your thesis. For this essay, you will NEED MORE RESEARCH THAN YOUR OTHER ESSAYS: A MINIMUM OF 5 SOURCES, BOTH PRIMARY AND SECONDARY. Remember: Give your essay a catchy, salient title. Defend or refute the author's main arguments using a refutation essay model. Same research requirements above.